The most engaging adjacent hotels of the Capital City are home to the SMC 2016 this year! The opulent Intercontinental and the luxurious Sofitel are located on the enchanting Danube promenade, which is one of the most frequented part of the lovely Budapest. Both hotels provide special offers for guest who attend to the SMC 2016. Booking is possible via the electronic booking system of the hotels – direct links can be found below! InterContinental Budapest is located at one of the most prestigious areas of Hungary’s capital – beside the landmark Chain Bridge along the charming Danube promenade, both Unesco world heritage sites. With dazzling views over the Royal Palace and the magnificent Budapest riverscape, the hotel boasts one of the city’s most sought-after locations. Discover the art of hospitality in our stylish, modern guest rooms featuring state-of-the-art technology and lifestyle-enhancing amenities. Guests can enjoy sweeping views of Budapest in one of the 402 elegantly appointed rooms and suites. Overseen by Executive Chef Gergő Gullner, Corso Restaurant features picturesque views and attracts a buzzing crowd for seasonal dinners, lunches, and weekend brunches. The 1st-floor Club InterContinental surrounds guests with breathtaking views of Budapest’s vibrant centre to provide the ultimate urban haven, while you can find a retreat for body and soul at the SPA InterContinental. InterContinental Budapest provides special offers for guest who attend to the SMC 2016. Booking is possible via the electronic booking system of the hotel. Please click here to see the special offers and book now! InterContinental Budapest 1052 Budapest Apáczai Csere János utca 12-14. Prepare to be awed by the Sofitel Budapest Chain Bridge, an elegant French hotel in the heart of Budapest. With its style, atmosphere, and contemporary fittings the newly refurbished Sofitel Budapest Chain Bridge, situated on the banks of the Danube by the Chain Bridge, is a true reflection of the French influence in the heart of the Hungarian capital. The hotel is only a few steps from the metropolitan business district and Budapest’s most fashionable shopping streets, and is near the Opera House and Academy of Music. The breathtaking views of the Royal Castle and Matthias Church stand in contrast to the highly modern interior of the hotel with its minimalist style manifested in a combination of dark brown and pink colors. Elegance and comfort are strong underlying themes of the fully equipped 357 guest rooms including 54 spacious suites. The Sofitel Budapest Chain Bridge is an ideal meeting place for business, conferences, leisure and pleasure. 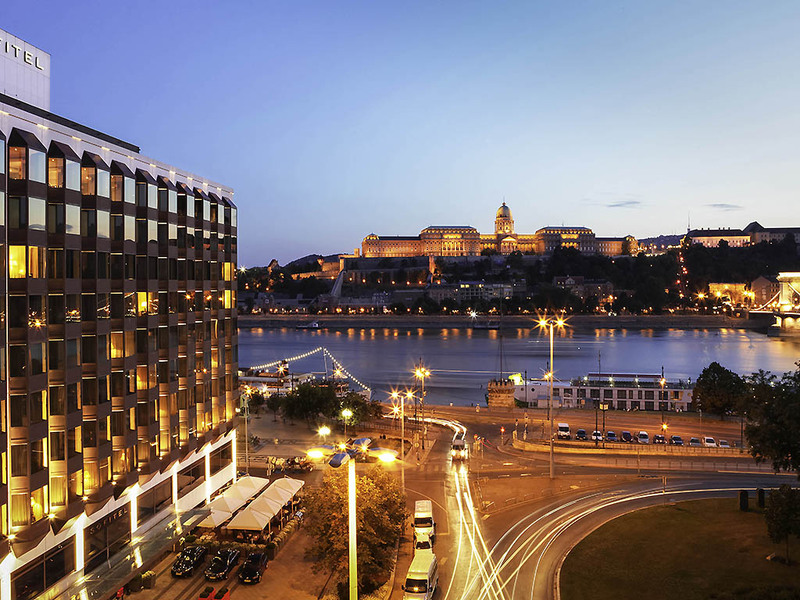 Sofitel Budapest Chain Bridge provides special offers for guest who attend to the SMC 2016. METRO red line M2 at the Keleti Pályaudvar station to Deak Ferenc ter (square). From, then 10 minute walk from Fashion street through main square – Vörösmarty, turn right and go straight onto Dorottya utca, on the left you will find our hotel. In order to make your journey to our hotel as seamless as possible, it is our pleasure to help you organize your transportation from the airport. Please contact our concierge with your arrival details, and an airport transfer will be arranged for you.